Kano State Police Command on Saturday stopped a rally organised by the Peoples Democratic Party, PDP. A detachment of fully armed policemen in ten police vehicles stormed the venue of the event scheduled to kick off by 3:00pm and disrupted preparations. Engineer Bashir Ishaq Bashir and thousands of his supporters from APC were expected to decamp to the opposition party. “The fully armed policemen stormed the venue of the rally violently, dismantling the podiums and canopies and injuring PDP party supporters”, Arise News247 Television quoted a PDP member as saying. “They carted away canopies, podiums, chairs, speakers and sound systems at the venue of PDP reception ceremony where it was planned that Engr. 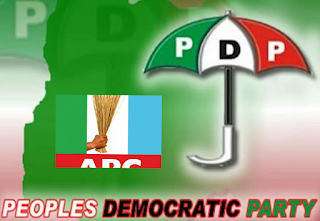 Bashir Ishaq Bashir and thousands of his supporters from APC will be formally received into the fold of PDP in Gaya, Kano State. “This has caused pandemonium as people are running. They almost collected my phone,” he added. The PDP had accused the Kano government of ordering the security arm to stop the event.